Some private rooms have optional air conditioning, that you can order by paying an extra fee. Our dormitories are spacious and have private bathroom and fan. Some dorms have also air conditioning from 11 pm to 9 am (make sure you are booking the right one for you). 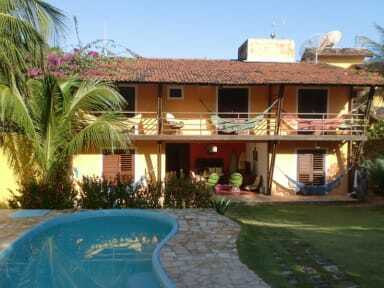 Pipa Hostel has the best combination of facilities that you can find in Pipa. Our leisure area includes a swimming pool, pool table, fussball table, board games, barbecue area, TV room and Book Exchange. Our facilities include laundry area, free WI FI, kitchen for guest use and mini market. We are also the safest hostel in Pipa, with 24 hours reception, security cameras and lockers in all dorms. In Pipa Hostel you will find all the information you need to enjoy all that Pipa has to offer, learning how to get to all the beaches and beautiful spots by yourself without spending a lot of money. 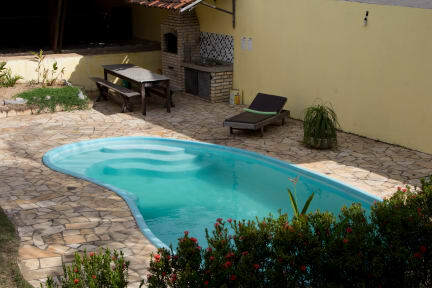 We have promotional prices for longer stays and also job offers available at the hostel.